This will just be a short newsletter to remind you that our next meeting is this Friday–the theme will be love and we’ll have a fun craft to do! We will not meet again until March 6th due to winter break falling on the 3rd Friday in February. 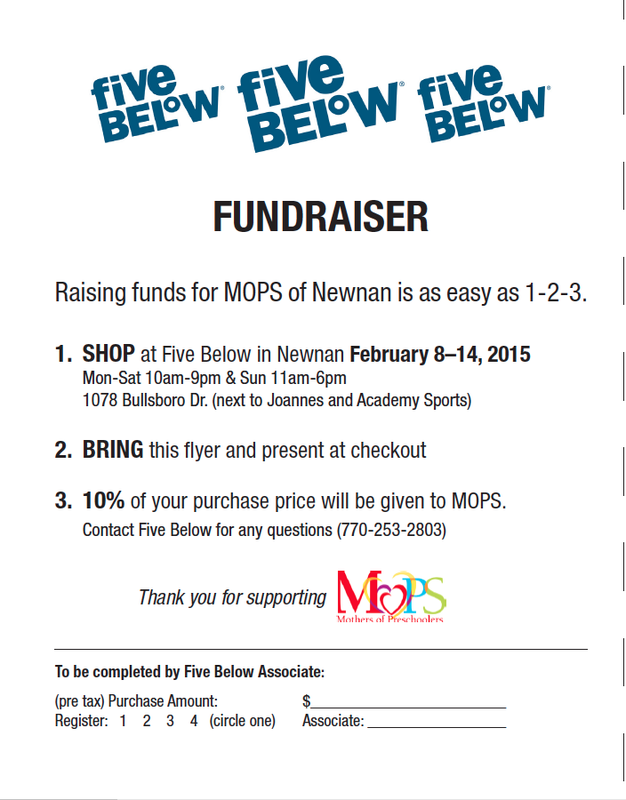 You can pick up copies of the flyer at MOPS on Friday or print this flyer to hand into the folks at Five Below (you must give Five Below the flyer for MOPS to get credit). Please give these out to friends and family to help raise funds for MOPS!